American Express customers could just have been handed the answer to their perennial problem, a trick to get their cards accepted anywhere. Curve, first launched in 2016, offers a clever smartphone app that that lets you attach several different bank and credit cards to a single Curve debit card. It has now also launched Amex capability, effectively allowing you to swipe the credit cards in any shop where Amex is otherwise not accepted. Amex says that many more firms now accept its cards, but users still regularly find places that won't. The major advantage of this is that those with rewards cards can still earn their cashback or airline points when they use Curve, plus the company offers its own extra rewards. Amex has some of the most lucrative rewards and cashback credit cards on the market, which we have written about in our guide to the top cards for spending and rewards. Being able to earn points where customers previously wouldn't have been able to use their cards at all, could help cardholders maximize spending. Curve offers two options – a free regular card, Curve blue, and a more premium account, Curve black. Both are Mastercard debit cards that can be used as normal in shops or to pay online. They also all give access to a clever smartphone app with real-time spending insights to help you better manage your money. It's a similar function to those offered by challenger banks but there is one major advantage, you needn’t switch banks or credit cards to take advantage of it. Using your regular bank or credit card abroad can be costly, with most slapping you with transaction and withdrawal fees of up to 3 per cent. If you use your Curve blue card abroad for spending you get up to £500 per month fee-free, and for ATM withdrawals it’s £200. Beyond these limits you pay 2 per cent. To start with you will have to download the app onto your smartphone. Once registered (you won’t be credit checked), you start off by adding cards to the app. This requires putting in your card details as you would with Apple or Google pay. You can add multiple cards and flick between which one you want to attach to your Curve debit card for individual payments and pick a default payment card. When you use your Curve card, the company will take payment from your chosen bank account or credit card and pay the retailer, it acts like a third party sitting securely in between the two, similar to when shopping using PayPal. If your default card doesn’t have enough money to cover the transaction it will be declined, it won't just move on to other connected cards. The transactions made through Curve will show up on your bank statements as made by Curve and they also have a reference on them that helps identify where you spent. If you have Curve black you get up to £15,000 fee-free spending abroad per year, and withdrawals up to £400 per month (beyond that it’s 2 per cent). Curve will make the currency conversion before it sends the transaction to your bank or credit card which means you won't be charged your bank's own overseas fees - but watch out as they may still charge you a cash withdrawal fee on credit cards. The currency is converted at the mid-market Mastercard exchange rate. Each Curve card comes with a rewards bonus at the start. You can pick three or six (for Curve black) retailers and get 1 per cent cashback on all purchases at these places for three months. 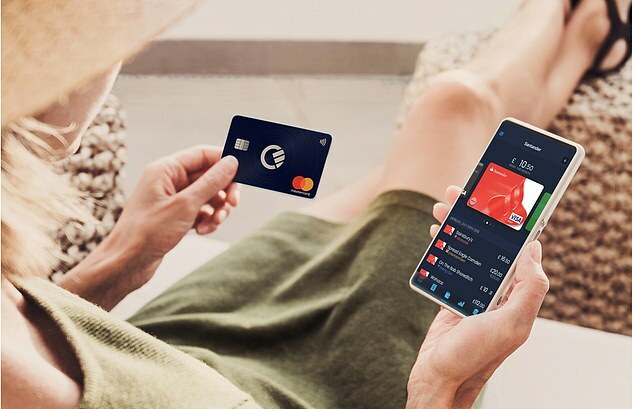 The premium card gets you slightly more generous overseas fee-free withdrawal and purchase limits and a better choice of retailers to earn cashback from. Some of the retailers on offer include Amazon, Uber, Tesco, Sainsbury, Waitrose, Ocado and Selfridges. While the Curve rewards don’t continue beyond the first three months, one of the major benefits is that you still earn existing rewards from any schemes attached to your current account or credit cards you have connected to your Curve account. For example, add a Tesco Clubcard credit card and it will still earn you Clubcard rewards on your spending through your Curve card. And of course, the same is now true of American Express cards. The time travel feature allows you to move purchases (up to a value of £1,000) between accounts up to 14 days after you have made them. For example, if you pay with the wrong card this enables you effectively to go back in time and move the payment to a different card. How safe is using Curve? In terms of account and app safety, you access the app on your phone using a four-digit passcode. You can lock your card via the app instantly if your card is lost or stolen. However one of the major drawbacks is that you won’t get the same protection as using your credit card as your purchases are made through a third party. When you use your credit card to pay for something worth between £100 and £30,000, the credit card provider takes on joint responsibility with the retailer should something go wrong. That means that if the goods are faulty, or if the company goes bust and the items are never delivered, then you can contract your credit card issuer to claim back the money. However a spokesperson for Curve explains that instead customers will be protected under the chargeback scheme. According to a spokesman for the company: 'For transactions made using a Curve card customers are protected by the Mastercard chargeback scheme. While Curve gives you a debit card it isn't a bank; it takes payments from your bank as a third party but it won't actually hold your money. This will still be held by your bank, therefore it will still be fully protected by FSCS protection.